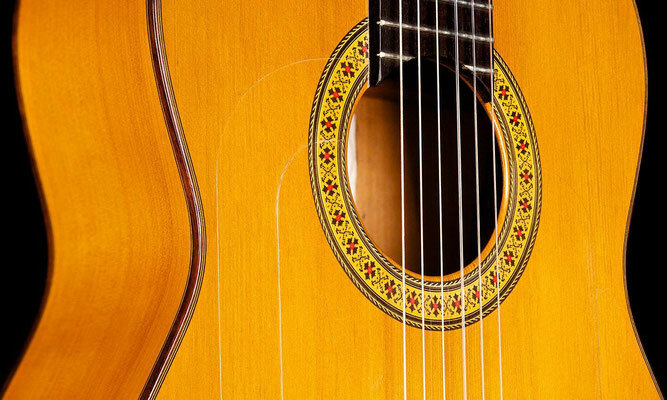 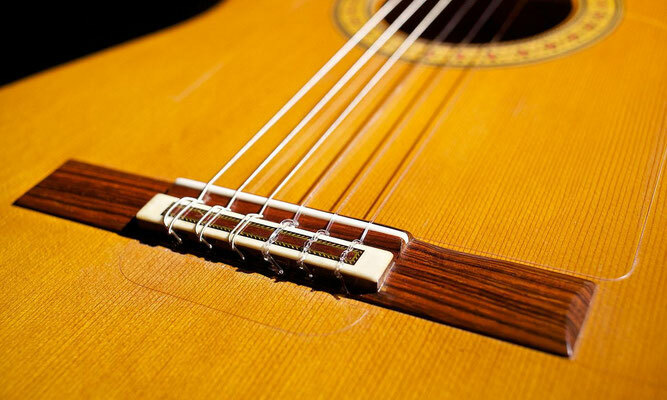 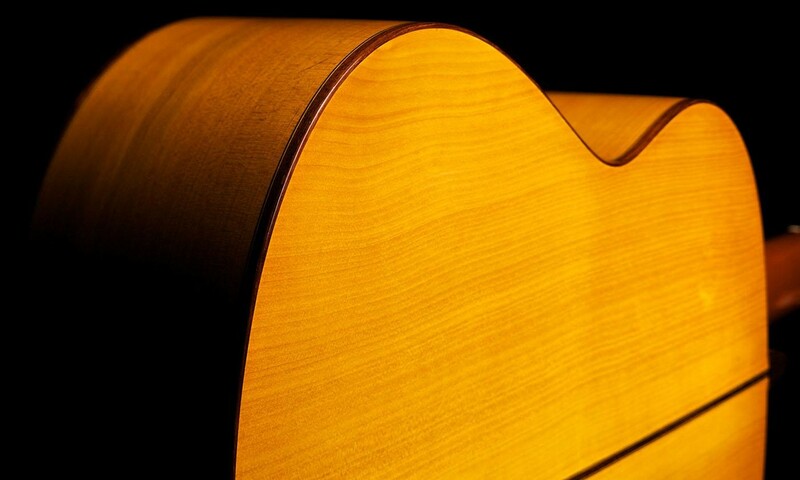 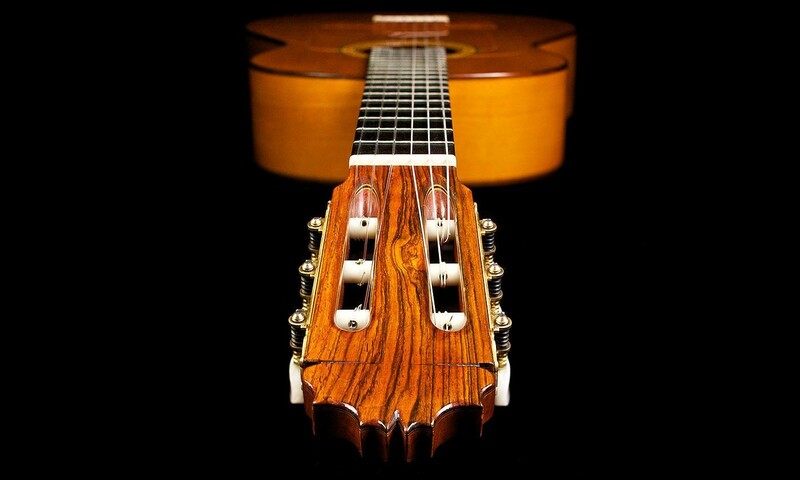 1986 Manuel Reyes cypress flamenco guitar. 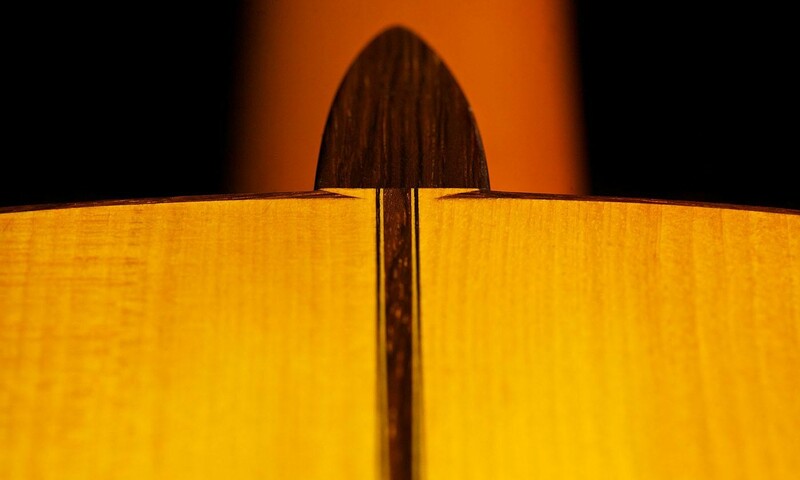 One repaired hairline crack and lightly refinished. 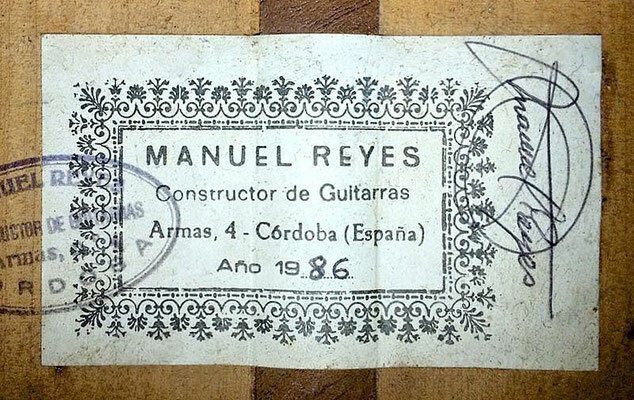 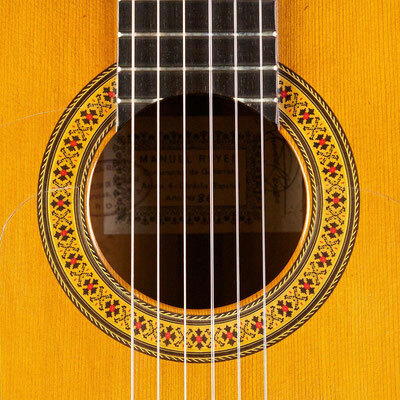 1986 Manuel Reyes Zypressen Flamenco Gitarre. 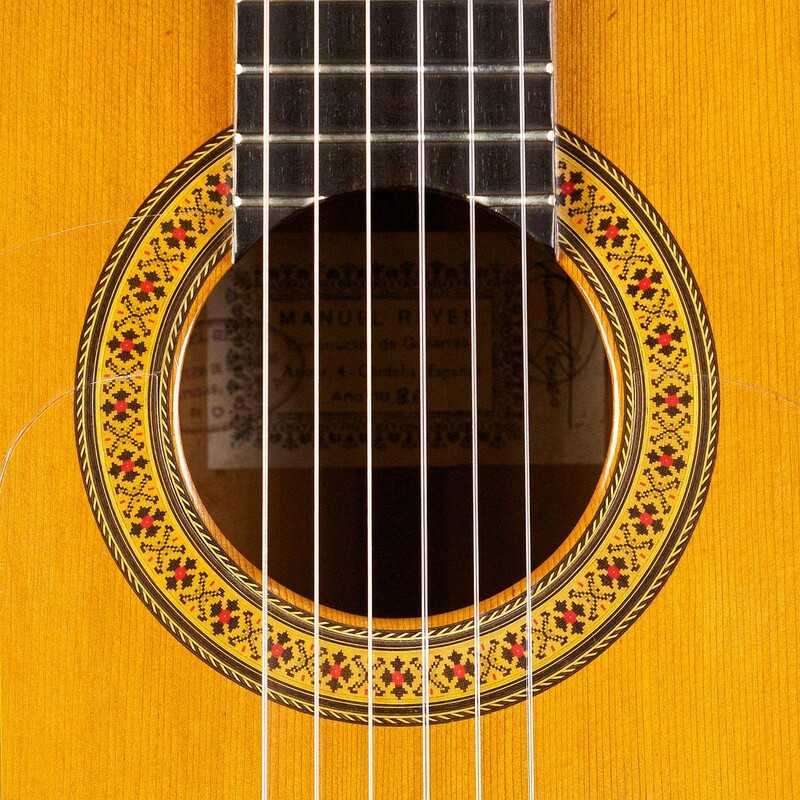 Ein reparierter Haarnadel- Riss und leicht nachpoliert.